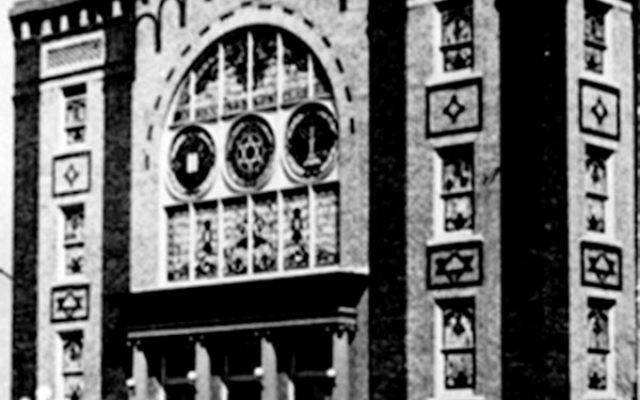 The old shul on Second Avenue. In the 120 years since its founding, Congregation Brothers of Israel has held about 130,000 religious services, which were attended by an estimated three million worshipers and one unusual guest — a squirrel. One Yom Kippur, during the tenure of Rabbi Tobias Roth (1974-2004), a squirrel took up temporary residence on the east wall of the main sanctuary, just above where the rabbi was standing on the bima. After many false starts, the furry intruder came down from its perch, scampered through the sanctuary and made its exit through the rear doors. Longtime member Harold Rassas, 92, whose grandfather Aaron Rassas was one of the founders, said his life has always been bound up with CBI. “I celebrated my bar mitzva here. So did my two sons, one of whom, Glen, is still a member. When I was younger, I was president of the men’s club, and I served as treasurer/financial secretary for about six years. I’m still chairman of the cemetery committee,” he said. Monroe “Monty” Fisher, 75, also was “born into the shul.” Noting that he himself is third generation and that his son and daughter also grew up at CBI, with Rabbi Roth officiating at both their weddings, he proudly pointed out that all six of his grandchildren attend Jewish day schools — in Teaneck and Maryland. 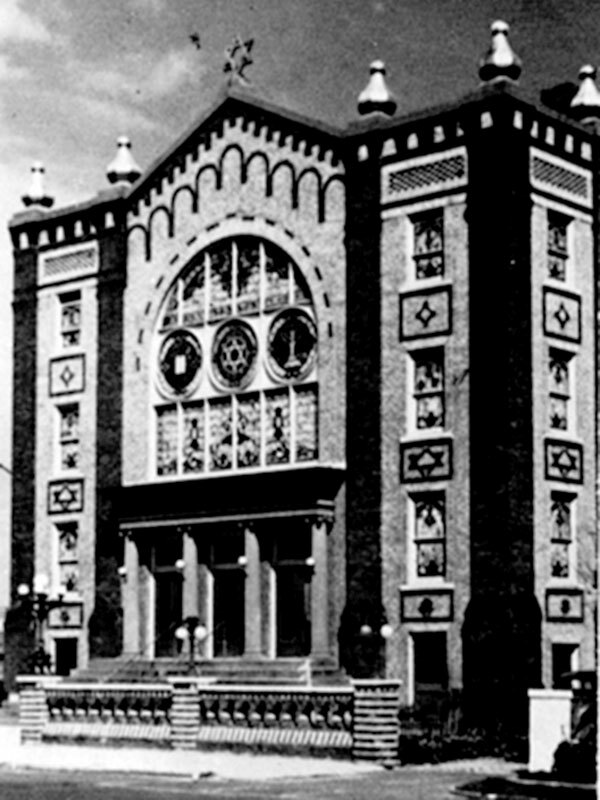 Fisher’s own service to the synagogue included a stint as president of the men’s club in the 1970s and a term as vice president of the congregation in 2000. Turning to the present, Fisher offered high praise for Braun, who has been with CBI for 10-plus years, as well as for outgoing presidents Dr. Andrew Samuel, a periodontist and dental surgeon, and Judi Boim, a former children’s librarian. “Their energy and creative ideas have kept the shul relevant and vibrant even at the ripe old age of 120,” Fisher said. Braun “has exceeded expectations in every way imaginable,” said Dr. Noah Gilson, who chaired the search committee when the rabbi was hired. The neurologist, who has an office in West Long Branch and has been a member of CBI for over 30 years, said that Braun has an excellent knowledge of Halacha and a way of making it palatable to all audiences. “He is a very accepting, open person who has a knack for attracting people to greater observance and Orthodox ideals,” said Gilson. Rassas said the shul began in the home of Benjamin Feinberg, but quickly outgrew those tight quarters. After bouncing around for about 20 years from location to location in the downtown Long Branch area, the congregation eventually, on Aug. 4, 1918, laid the cornerstone of what would become the Second Avenue sanctuary, a space it occupied until 1977. It then moved to a new site — 250 Park Ave. in Elberon — which has been its home for the past 38 years. • Construction of an eruv, which was completed in June 1990 following a legal struggle with the American Civil Liberties Union. • Opening of an Ocean Avenue Minyan in 2002 to accommodate summer residents of Long Branch’s West End section. From its origin in a small apartment, the facility has grown into a fully functional shul. • The celebration on May 2015 of the shul’s first bat mitzva for adult women.